As a long-time BlackBerry enthusiast and proud Canadian, I want to see Research In Motion (aka BlackBerry) turn around the negative sentiment that is now stalking them in the media and gain back the sales momentum and brand popularity they have enjoyed in the past. But should this challenge prove too difficult in the months ahead or simply take too long to execute in the face of an eroding market cap, what will become of RIM? I've pondered this question a lot in recent weeks from every conceivable angle, and it was sitting on a patio sipping my fourth pitcher of Sangria on Canada Day that I concluded Google will buy Research In Motion. It won't be Microsoft - they've made their bet on Windows Phone and Nokia (and the Steve Ballmer at BlackBerry World thing was little more than a PR stunt). It won't be Co-CEOs Jim Balsillie and Mike Lazaridis buying back the company and going private again (though I'm sure they'd love to do that). It won't be any other company seriously stepping in with a bid. It'll be Google. Keep reading for my logical reasoning. 1. QNX. QNX, the foundation of the new BlackBerry Tablet OS and future QNX-based BlackBerry "superphones" is literally a drop-in replacement for the Android's Linux Kernel. Thanks to its POSIX compliance, it would literally take just weeks for Android to make this conversion, and they would immediately enjoy the benefits of QNX on the Android platform: improved stability (microkernel vs. monolithic kernel), better security (notice how the PlayBook hasn't been rooted), ease of rolling out new hardware (QNX is already running on 32 cores) and more. Android has its vulnerabilities. Android with a QNX kernel is compelling. 2. Canada is nice, eh. Google already has offices in Kitchener (next to Waterloo), Ontario, where RIM's headquarters and main talent pool are located. It could be that Google has been thinking ahead. 3. Java. Java is at the heart of the Android, and Research In Motion has a lot of smart people who know Java. 4. Mobile patents. One of Google/Android's biggest weaknesses currently are their lack of patents in the mobile space. Google is starting to get inundated with lawsuits, and unfortunately, these lawsuits don't just get directed at Google but also the companies that are using the Android operating system on their devices. Google NEEDS to build up their mobile patent defenses. Buying RIM not only would give Google RIM's patents, it would also get Google into the recent Nortel patent acquisition that Google was not part of the winning bid on. Google lost the bid on Nortel patents to a consortium of companies including Apple, Microsoft and RIM. It's pretty clear that this consortium was done as a block again Google to stave off Android growth and prevent Google from winning the bid. However, looking at Google's bids for the patents, which were based on pi (3.141519 billion) and other universal constants like the distance between the Earth and the Sun, it's like Google wasn't even taking the bid seriously. And why would you? If you're Google and you're about to buy RIM, who's stake in the Nortel bid was $770 million, you're getting your piece of over 6,000 Nortel patents for a $4 billion dollar discount. Google actually buying these Nortel patents at over $4.5 billion would have been a stupid move if they're planning on buying RIM in the near-ish future. A RIM acquisition has effectively been discounted by over $3.5 billion. 5. T.A.T. Google has worked extensively with The Astonishing Tribe in the past. TAT did the UI for the original version of Android on the T-Mobile G1. Google knows TAT. Google likes TAT. RIM owns TAT. Google buys RIM and now owns TAT. 6. Enterprise. Android becomes viable for enterprise. Currently when you mention Android in enterprise, most people just laugh. The security isn't there, nor is there a great way to manage it. RIM already announced they're working on cross-platform BES support at BlackBerry World this year. In a world where Google owns RIM and there's a QNX kernel on Android (see point #1), Android in enterprise is no longer laughable, it's awesome. 7. Carrier relationships. I don't think anybody would argue with the fact RIM has done a great job over the years at expanding its footprint around the globe. Google is obviously doing a great job at this too with Android, and Google would only further benefit from RIM's existing carrier relationships and RIM's existing base of people who currently work in these roles. 8. Proof of concept complete / Commitment to Android. 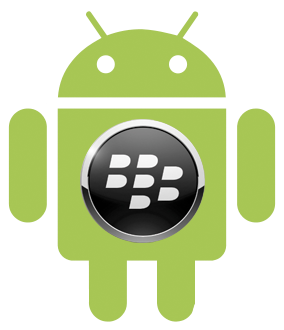 RIM has already announced support for Android apps on the BlackBerry PlayBook (and future QNX-based BlackBerry Smartphones). I believe this was done without Google's blessing, but it shows that Android on BlackBerry is already doable. It also shows RIM is already going to rely on Android for "app tonnage," which could be seen as a turn off to other potential RIM suitors. 9. Reduce fragmentation. Google has made it clear that they want to reduce the fragmentation in the Android ecosystem, and BlackBerry running Android apps on Google only complicates this issue further. Because RIM is having developers resubmit their Android-built apps to App World (effectively making them BlackBerry apps), there's little Google can currently do to prevent this. Google buying RIM allows this to be addressed. 10. Assuming Google wants to, they could now own the end-to-end experience. Google currently builds no hardware. Instead, they give away the operating system to companies like HTC, Samsung, LG, etc. who build the hardware. Google may not want to change this approach, but if they wanted to, they could actually own the hardware and software stack and build their own hardware via a RIM acquisition. Bonus Reason 11. Google's Eric Schmidt was a CrackBerry addict. 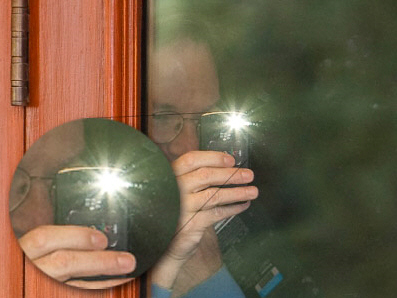 Seriously, even in 2009 as Android was emerging from it's shell, Eric Schmidt was rocking a BlackBerry (remember when he got caught on camera using it). I'm not saying everybody at Google likes BlackBerry, but I'm sure they get BlackBerry. That's a lot of logical reasoning as to why Google buying RIM makes a ton of sense. Are there any reasons why it would be a bad idea? Prior to last week, my main sticking point would be the corporate culture. I think pockets of RIM -- like QNX and TAT -- would fit with Google's college culture perfectly. But the historical RIM is more stuffy and enterprise focused. Though after last week's Open Letter to RIM Senior Management, I more than ever get the feeling that RIM not only needs but WANTS a cultural change. It'll be hard for RIM to make that change happen by themselves, but the Google culture is well known. RIM has a lot of smart people who would be unleashed in a Google culture. I think if Google bought RIM you'd see thousands of currently-depressed RIM employees be as excited as heck again. It would be just the thing that RIM employees need. They wouldn't be fighting a world that seems to have turned against them - they'd be back on a winning team again. So is it GoogBerry? GooseBerry? BerryGoo? I can't see the future and I don't know how this is all going to play out. Maybe the worst is now behind us and RIM will get their act together and turn things around. That is what I'd like to see happen, and I'm brainstorming up ways to help make that happen. But if not, I really believe the worst-case scenario for RIM would be a Google acquisition. And honestly, I don't think it would be a worst-case at all. I actually think it would rock. Long before I was a fan of BlackBerry I was a fan of Google (pretty sure I started using Google for search within in a week of it going live), so if RIM has to get bought, I personally want it to be Google that buys them. I don't think as much good would come out of companies like Cisco or Dell acquiring RIM (and I think Microsoft is out). It's a selfish reason, but to me it's valid. I'd rather see RIM be independent, but if they have to get bought, let it be Google. It feels like the world wants to consolidate around less mobile platforms, not more. Having iOS, Android, BlackBerry, Windows Phone, WebOS, each with their separate mobile development platforms, is arguably too many. On the internet, I build one website and it works with Internet Explorer, Firefox, Chrome, etc. If I want to put my content into an app and hit everybody, I need to build too many dang versions to hit everybody. For content publishers and people who want to have all the apps, having less platforms is easier. If you're #1 or #2, you're set, but if you're going to be relegated to a number three, four or five, you're better off joining #1 or #2. As RIM's share price continues to decline, RIM becomes more attractive as an acquisition target to somebody. And the more I think on it, the more I believe Google has an eye on RIM and likely knows what they want to pay for the company. When it came to Groupon, Google reportedly offered $5 billion to the company (which they turned down). In that case, they went in fast with a lot of money to get in early on something that was taking off - there wasn't technology there, but rather an emerging network. This is a much different scenario. Android already has momentum and BlackBerry is in the declining position. Google won't lose out by waiting to buy RIM. However, Google does have a lot to gain from buying RIM, but they're in a position where they can afford to wait and buy it at a discount. I'm pretty sure Google is thinking shares of RIMM will continue to decline. And hey, maybe I'm way off base here and Google isn't currently looking at RIM at all. But maybe after this article they will be. Should Google buy RIM, I'd hate to see the BlackBerry name go away, and I don't think it would (why kill something so well-known? ), but following all these logical reasons of why Google will buy RIM I'm still not sure how the actual BlackBerry brand would tie into an Android/BlackBerry future. I'll keep thinking on that. In the meantime, be sure to sound off with your comments! What do you think? Is this destiny or just crazy talk?